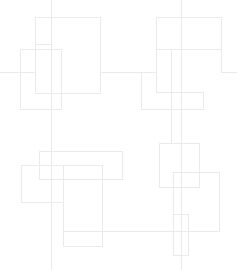 Carefully examine the 3 connections points above. You are checking to make sure there is clean metal to contact later with the probes that will be pushed onto those points. If there is a film coating the copper pads or the metal looks tarnished then carefully scrape it with a sharp blade to just remove the film or tarnish, take care we just need a small clean area to make contact with the sharp probes later. 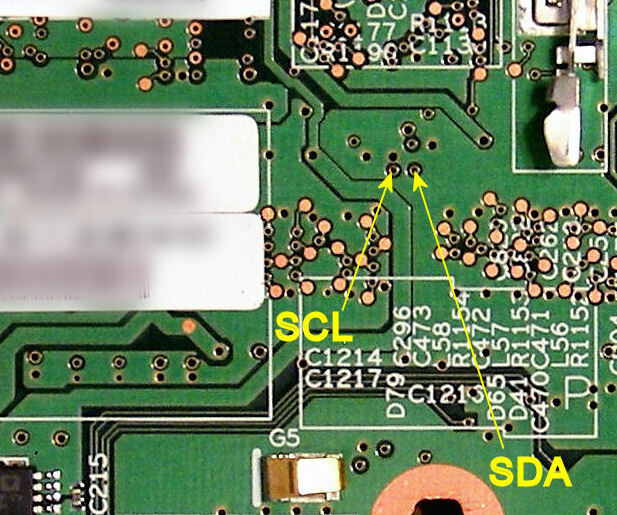 If your T43 has a fingerprint scanner then disconnect the fingerprint scanner. Once you have your T43 HMM search the manual for "Removing and replacing a FRU" then scroll down to 1060 Keyboard, it's on Page 80 of the manual, follow the instructions in the manual to lift up the keyboard, leave it plugged in just move it forward toward you to reveal the connection points. You should now be able to see U63, see photos below. The connections we will use are near U63, just under the RAM module if one is fitted. You will need to have some RAM in the T43 for use later when we switch it ON, no don't switch it ON just now, later OK. 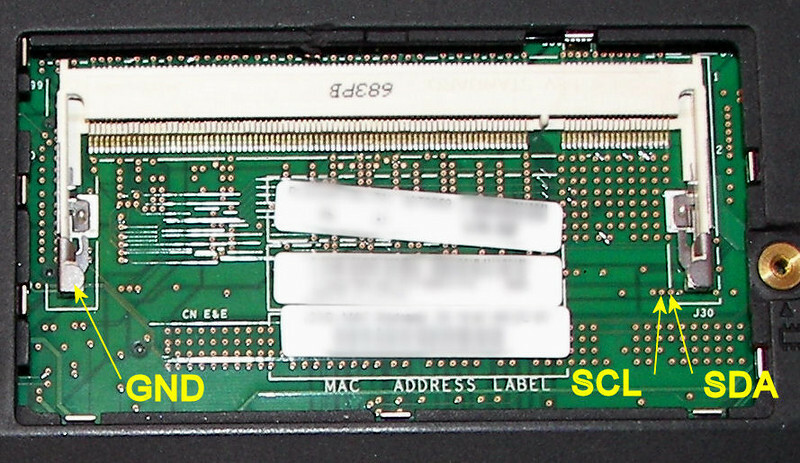 If there is no RAM in the other DIMM slot, the one underneath the T43, then you will need to remove the RAM from above U63 and install it in the optional DIMM socket underneath the T43. 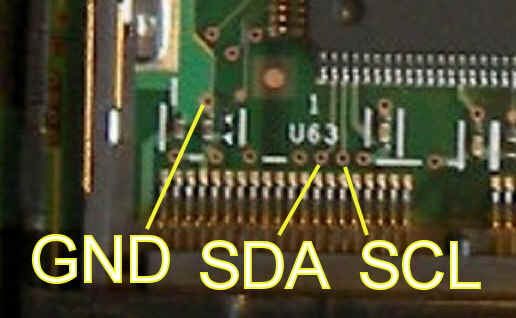 That other DIMM socket is illustrated on page 182 of the manual, item 2, undo the single screw on the cover to gain access. 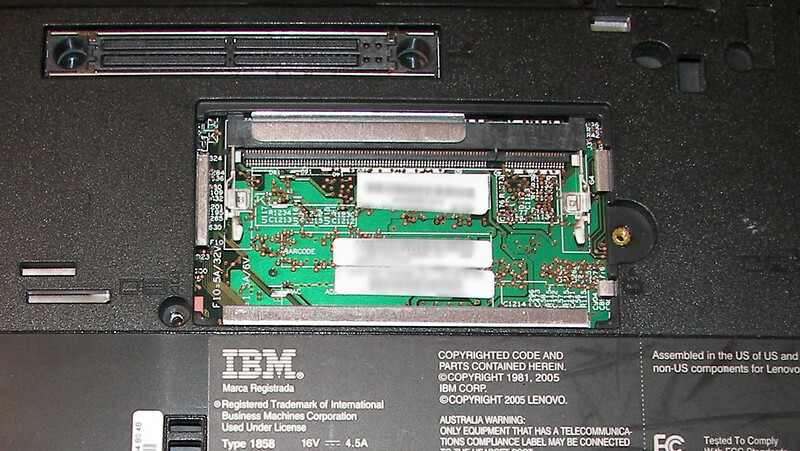 If there is already RAM installed in the other DIMM socket underneath the T43 then you can just leave it there. 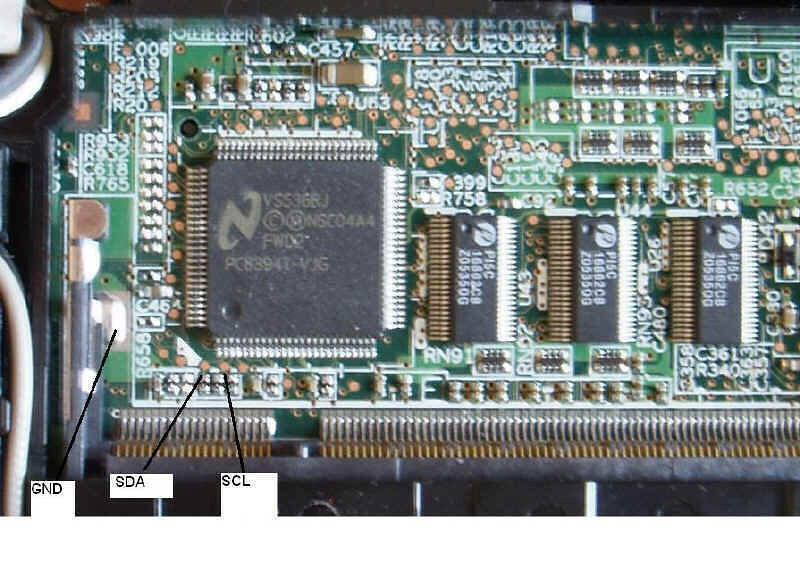 If there is no RAM installed in the other DIMM socket underneath the T43 then remove the RAM from under the keyboard and install it in the DIMM socket underneath the T43, later when all the work is done reverse the procedure. DON'T BEND THEM, just pull it out sideways just enough so the RAM pops up, then you can remove it. and the RAM will pop up ready to be removed. 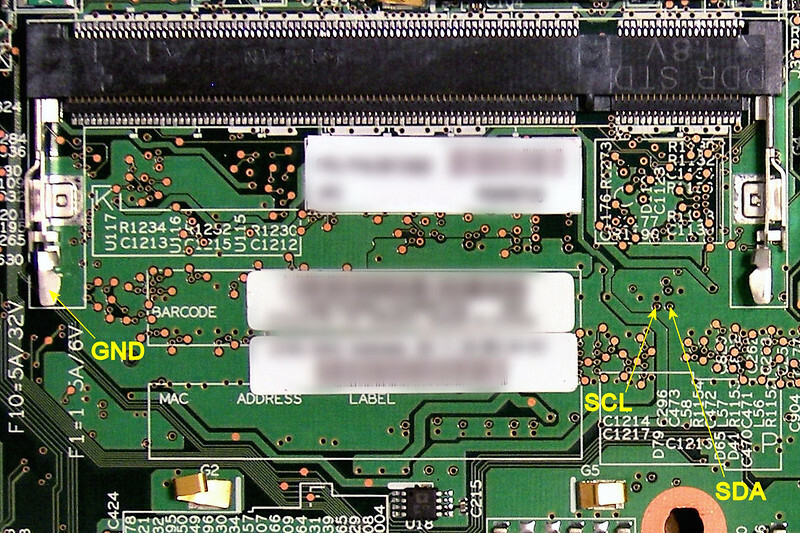 To install RAM into a DIMM socket start with the RAM at angle of 45 degrees to the board [note the RAM can only go in one way there is a key slot that is not in the middle, it only fits one way]. 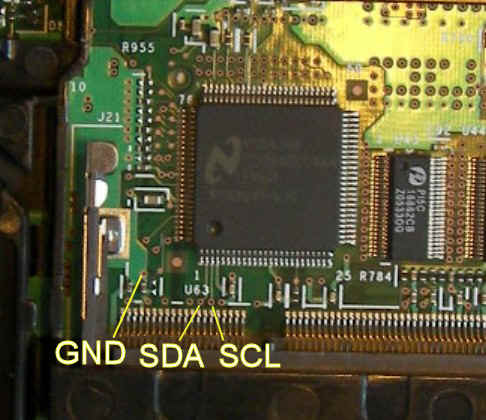 Holding the RAM at 45 degrees to the board insert the RAM into the socket, make sure it is in all the way, if it wont go in don't force it, turn it over till the key slot matches the socket. Hold it into the socket and slowly fold it down flat until the two clips snap over it to lock it in place. Basically you make the System board functional outside of it's case [IF you had to remove the System Board] which includes mounting heat sink and fan on CPU. Basically you make the System board functional outside of it's case [IF you had to remove the System Board] which includes mounting heat sink and fan on CPU. Basically you make the System board functional outside of it's case [IF you had to remove the System Board] which includes mounting heat sink and fan on CPU. Basically you make the System board functional outside of it's case [IF you had to remove the System Board] which includes mounting heat sink and fan on CPU. Basically you make the System board functional outside of it's case [IF you had to remove the System Board] which includes mounting heat sink and fan on CPU.